Congregation Beth El of Montgomery County (Maryland) proudly installed two magnificent tapestries in its sanctuary in September 1997. These tapestries, created by local artist Tamar Fishman and executed by British weaver Pat Jones, are located on our bimah and add measurably to the warmth of our synagogue. 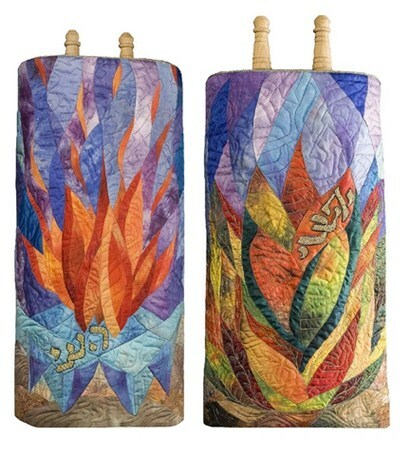 Our lovely Torah covers were depict images from Exodus: One mantel depicts an abstract of the burning bush. 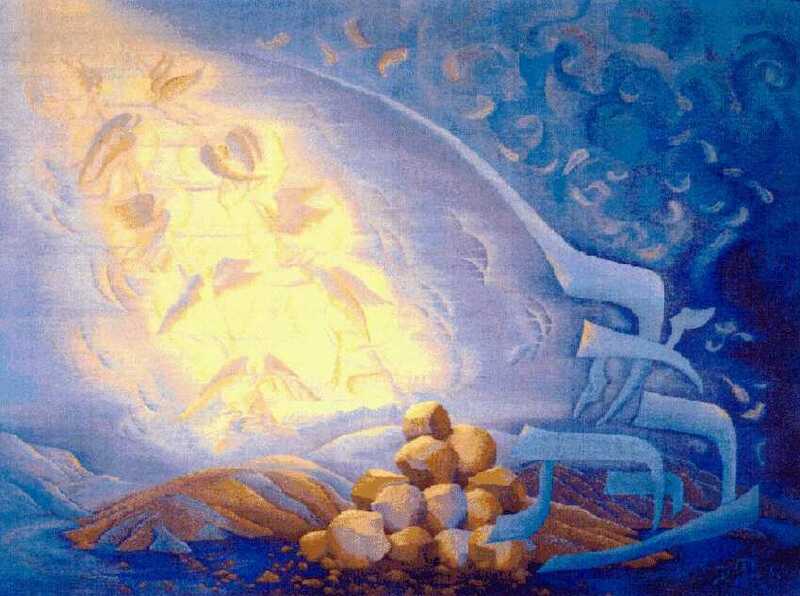 The other mantel visualizes the pillar of fire that rested above the tent of the Tabernacle as the Israelites crossed the desert for 40 years. 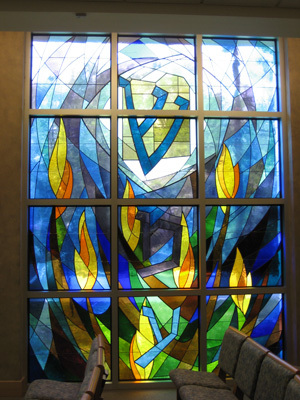 Many doors and windows in our facilities feature beautiful stained glass.